Relieves pain from sore muscles and joints, including arthritis. 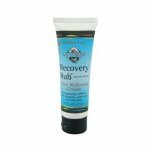 Quickly provides cool, deep penetrating relief. Use before activity to loosen up. All natural ingredients, biodegradable and the packaging is made from recycled, recyclable and/or biodegradable material.